What happens when life isn't sweet after Recovery? 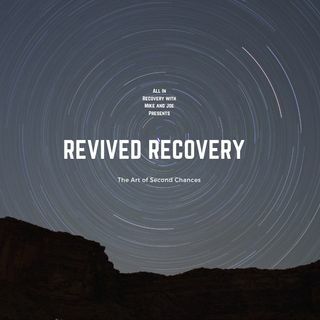 Mike and Joe dive into this episode of the All In Recovery Podcast discussing the highs and lows of Recovery, and how to keep the fire burning through a "life storm." Mike and Joe speak about their personal lows, and even spark a hot debate as to whether or not people truly care about Recovery? Is the Addiction topic really relevant or is it just trending? Should we punish "Addicts" who lack motivation? All of this ... See More and more brought to you by The All In Recovery Podcast with Mike and Joe. I agree 100% that we need to empower addicts, not keep telling them yoou failed and that you have to remember that you failed in order to keep from failed. Understanding that one has failed is yes an important part of understanding the dynamics of recovery. But if God can forget and forgive your sins as if they never happened, can we do anything less. We need to help people who have fallen find success rather than continue to remind them oftheir failues. That is of course easier said than done, but it is more than possible as evidenced by the many people who have suffered adversed situations that resulted in either got them started on a road to self-destruction and have overcome.